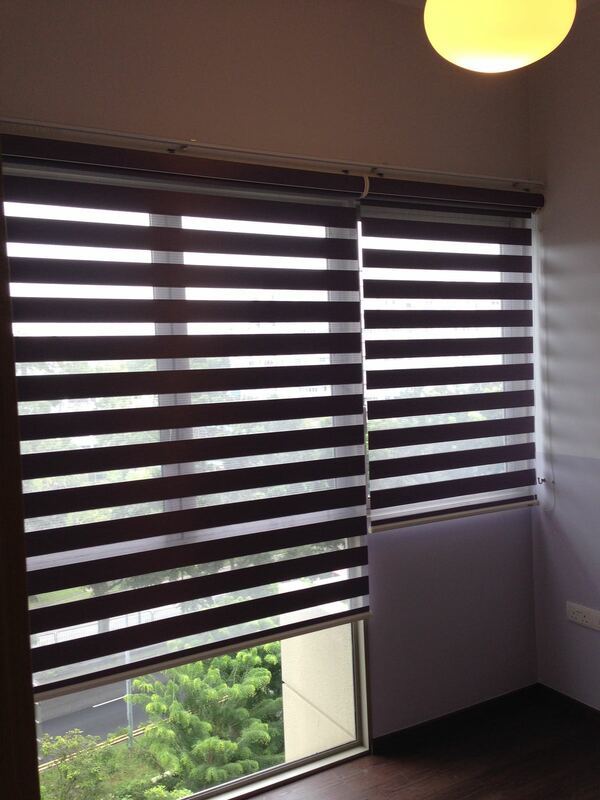 Also called rainbow shades or blinds, dual shades consist of two layers of perforated and polyester fabric with a sheer or dim out fabric connecting it in-between. It works similar to roller blinds and presents a neat and modern look. The spacing of the panels can be adjusted to allow more light to filter into a room, making it desirable for installations in study rooms and bedrooms when paired with curtains.